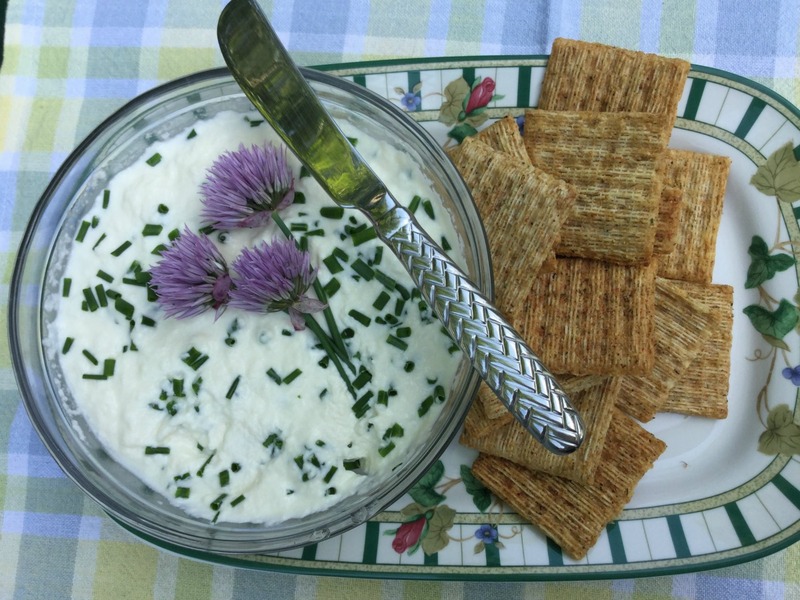 Did you know you could make delicious ricotta cheese at home? A few years back I stumbled upon a recipe for homemade ricotta cheese and have been making it a few times a year ever since. Are you rolling your eyes? I know, it sounds like one of those crazy, "Who needs to know how to do that?" kind of things, when ricotta is readily available in our local grocery stores. Making ricotta cheese at home is actually very easy to do. It requires only four ingredients and takes very little time to prepare. I make homemade ricotta cheese when I want to treat myself. This recipe produces a delicate, sweet cheese that is delicious on its own. 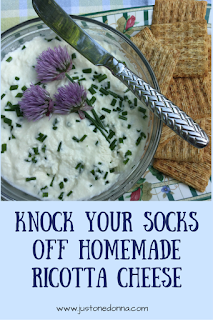 I recommend making homemade ricotta cheese only when the ricotta cheese is going to be the star of your recipe. 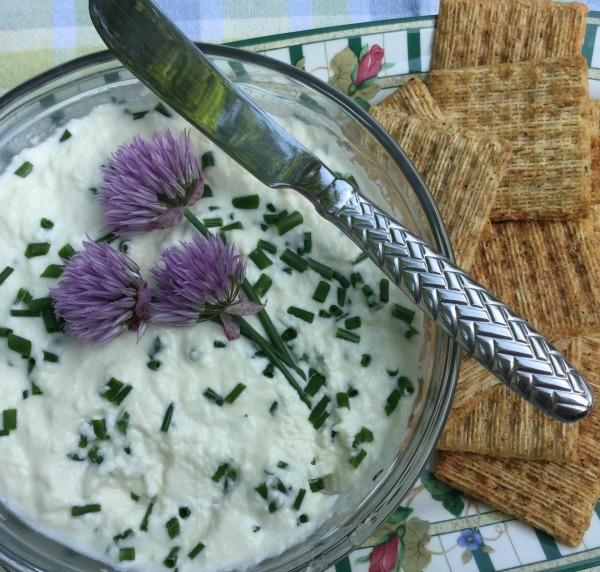 I especially like to make homemade ricotta cheese to serve as an appetizer. 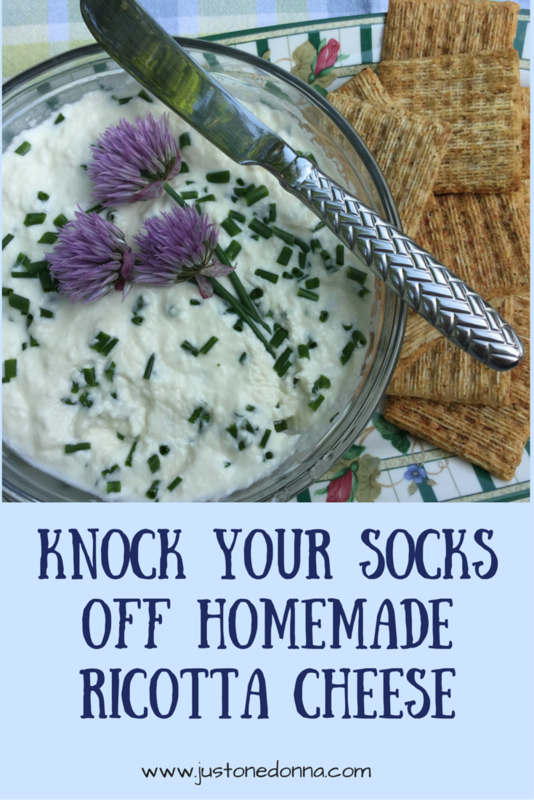 It knocks my socks off when the ricotta is still a little warm and enhanced by the addition of a few snips of fresh herbs. Oh, baby, that is good stuff. The ingredient list is surprisingly short: whole milk, heavy cream, salt, and vinegar or lemon juice. I like to use vinegar. My favorite is white wine vinegar. You'll also need some cheesecloth which you will use to strain the cheese. In a heavy stainless steel or enameled pot, heat the milk, cream, and salt over medium heat. Bring the milk and cream mixture to a full boil. The cream mixture is going to bubble up, so be careful to watch so it doesn't boil over. Remove the mixture from the heat and add the vinegar. Let this mixture sit for one minute while curds form. Pour the milk and cream mixture into a sieve or colander covered with two layers of dampened cheesecloth. Set it over a deep bowl and drain for 20-25 minutes. This will separate the curds from the whey. 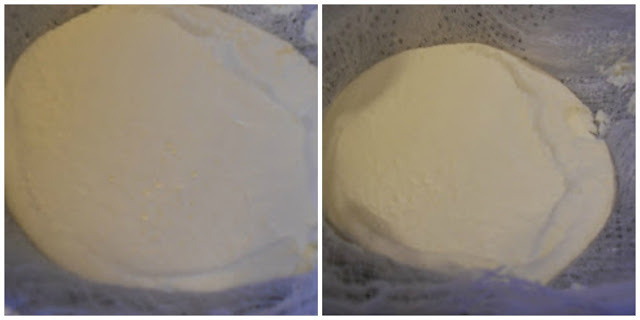 You'll want to empty the whey from the bowl periodically to keep the draining ricotta from touching the liquid. The finished ricotta is light and creamy tasting, unlike anything you have tasted from the plastic tubs at the grocery store. Use it as you would use any ricotta cheese, but this freshly made, warm cheese is delicious mixed with herbs or as a bruschetta topping. Making homemade ricotta cheese is indeed easy, unbelievably so. The result is so delicious I hope you will try it. I was just talking about how delicious homemade is. I'm going to try this recipe this week but cut it in half as it goes bad very quickly. Wow, it looks like making ricotta is pretty easy. How nice to know exactly what's in your cheese. Thanks for sharing at the Blogger's Pit Stop.